The Board is appointed by and responsible to the Minister for Regional Development; Agriculture and Food; Minister Assisting the Minister for State Development, Jobs and Trade; the HON Alannah MacTiernan MLC. The Board is an accountable authority and advises the Minister on matters affecting the development of the region and sets the primary directions for the Commission. Appointments to the Board are made for terms of up to three years following an appointment process in accordance with the Regional Development Commissions Act 1993 (WA). Mr McConachy moved to the Kimberley in 2009 with his family, bringing a wealth of business and leadership experience with him in the areas of business, tourism, agriculture, construction and aviation. As a Managing Director of several local Companies, including: Helicopter Film Services Pty Ltd trading as HeliSpirit, Kimberley Cultural Tours Pty Ltd, Freshwater Quality Management Pty Ltd, of which he is also Owner, Kimberley Land Holdings Pty Ltd, H.M. Developments Pty Ltd and Top End Building Company, he has a strong understanding of governance and accountability. He has used this in a voluntary capacity as a founding Committee Member and Chairperson of the East Kimberley Marketing Group. Mr McConachy is also a past Council President, St Joseph’s School, Kununurra. Since 1999, Mr McConachy has been Owner/Managing Director, Agrivision International Pty Ltd and Managing Director, Integrated Dairies of Australia Pty Ltd. Prior to this he worked as; Agricultural Consultant, Riverina F.A.R.M (Financial and Rural Management), Farm Manager, Strathfieldsaye Estate (University of Melbourne) and General Manager, International Agribusiness Australia. Mr McConachy is committed to regional development of the Kimberley in partnership with regional stakeholders in recognition of its potential. Mr Brown is a long term resident of the Kimberley, based at Cygnet Bay. 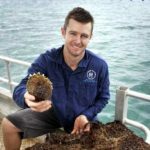 He holds a Bachelor of Science, Marine Biology and has aquaculture, retail, business and tourism experience gained from working in the pearling industry since 2000. He is the Managing Director of Cygnet Bay Pearls and the founder/lead field scientist of the Kimberley Marine Research Station (KMRS) that encourages and facilitates broad scale independent marine research on the Kimberley Coast and has contributed to the Kimberley Conservation and Science Strategy and the establishment of the Kimberley Aquaculture Zone. He is a Board Member, Broome Shire Economic Development Advisory Committee, a member of the Broome Tourism Leadership Group, Board Member of Cruise Broome, and an active member of several Pearling and Fisheries Associations. He is also an Ambassador for WA Save the Children. Mr Brown offers strong leadership and experience gained from his involvement in his family’s pearling business and from his active involvement in the broader pearling and tourism industries and community. He is committed to economic development in the Kimberley, driven through strategies created and embraced by the people of the Kimberley. Mrs Fletcher brings a strong business understanding and experience in both tourism and agriculture to the Board. 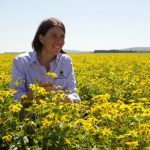 With a background in agriculture and tourism, she has held the position of Managing Director, RB Dessert Seed Company/Hoochery Distillery in the Ord River Irrigation Area since 2005. She has Bachelor degrees in Agribusiness and also Environmental Production Horticulture. In 2014, Kalyn received the prestigious RIRDC Rural Women’s Award WA and in 2015 was a runner up in the RIRDC Rural Women’s Award National Finals. She has completed the Australian Institute of Company Directors Company Director Course. Focusing on the development of a strong regional economy based on tourism, agriculture and mining, Mrs Fletcher is keen to see a balanced approach achieved through consultation and collaboration that will benefit the entire regional community. She considers that long term strategic planning and direction is paramount to successful development which leads to strong job prospects and efficient education and health services. Ms Cissy Gore-Birch is a Jaru/Kija woman with connection to Balanggarra, Nyikina and Bunuba country. 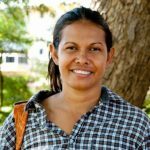 She holds a Graduate Diploma in Natural Resource Management and has worked in the Aboriginal land management and community development sectors for the past twenty years. Currently, Ms Gore-Birch is employed as the National Aboriginal Engagement Manager at Bush Heritage Australia. With a strong leadership background in the Kimberley and Australia, Ms Gore Birch’s current appointments include; Chairperson, Aarnja Pty Ltd, Chairperson of the North Australian Indigenous Land and Sea Management (NAILSMA), recently appointed member of the Threatened Species Scientific Committee, Committee member of the Northern Environment Scientific Programme (NESP) – Northern & Threatened Species Recovery Hub – Indigenous Reference Group and former appointments held include: Chairperson, Balanggarra Aboriginal Corporation (2010-2014), Director, Kimberley Land Council and Councillor, Shire of Wyndham East Kimberley. Ms Gore-Birch has been and continues to advocate for the social, cultural, environmental and economic advancement and well-being of Aboriginal people through a fair & equitable process. Catherine has a passion for rural communities and initiatives that unlock the potential of rural and regional Australia. She has a Rural Science Degree, is a graduate of the Australian Rural Leadership Program and the Australian Institute of Company Directors. In 2012, Catherine was awarded the prestigious RIRDC Rural Women’s Award for WA. In joining the KDC Board, Catherine brings a wealth of experience which covers not only technical aspects of agriculture and agribusiness, but also a unique skill-set spanning policy recommendations, strategy implementation, community development and communication. Throughout her career, Catherine has also developed diverse skills in leadership and stakeholder engagement. She has worked as a nutritionist in the Asian beef sector, developed and run leadership programs specifically for rural women right across Australia and Indonesia, and was the inaugural CEO of the Kimberley Pilbara Cattlemen’s Association, a representative body working towards maximising the value of the Northern beef industry. Currently she is the WA Project Manager for the CRCNA, a Broome Shire Councillor, a Commissioner on the Australian Centre for International Agricultural Research and a board member of the Broome Visitors Centre. As a long term resident of Derby and business owner for over 20 years, Geoff has a strong understanding of the socio-economic dynamic across the Kimberley region. Geoff believes his time spent as a business owner equipped him with the tools to understand the importance of the economy as it contributes to the social outcomes for the community. Geoff has been actively involved in organisations that complement his business activities and give him exposure to the broader view of how economic and community development must work cohesively. In the past decade, some of his involvement in the community includes contribution in a volunteer capacity to organisations such as Derby Chamber of Commerce, Derby Squash Club, and Derby District High School. In his role as the Derby Shire President, Geoff is required to work with a wide cross-section of people and organisations to identify real needs and possibilities to progress the Kimberley region. Geoff would like to see the Kimberley region develop through structured processes of consultation that are transparent, efficient and ultimately enable development to occur within regulatory frameworks in a timely manner. Mr Gooding has held the position of Chief Executive of the Kimberley Development Commission since the Commission’s establishment and is a Member of the Board of the Commission. He is a long term resident of Kununurra and the Kimberley, has qualifications in town and regional planning, is a graduate and fellow of the Australian Rural Leadership Foundation, Member of the Australian Institute of Company Directors and is Justice of the Peace and former Shire Councillor. Having participated in the negotiation process which culminated in several key Native Title Agreements, Mr Gooding continues to be substantially involved in related implementation including as a Director of the Miriuwung Gajerrong Community Foundation. He has been closely involved in the development, and initial implementation, of the Ord/East Kimberley Expansion Project and associated Land Releases. Other regional roles include membership of a range of Regional Planning processes and Chairman or member of various regional steering and coordinating groups, including the Northwest Aboriginal Housing Steering Committee, The Kimberley Schools Project Regional Leadership Group, The Broome Growth Planning Partnership and Chinatown Revitalisation Steering Committee.